Is colocation the answer to your search for the perfect internet infrastructure? If you run a small-to-medium business that lacks the expertise, space, or funding to operate an infrastructure substantial enough to support your growing business, the answer is a resounding yes. Colocation, or the outsourcing of the location of your servers, brings businesses increased security, peace of mind, and the confidence of knowing experts are reliably managing the IT infrastructure. Many large companies have the IT staff and space to support their needs, but more and more frequently, these large companies are turning to colocation. 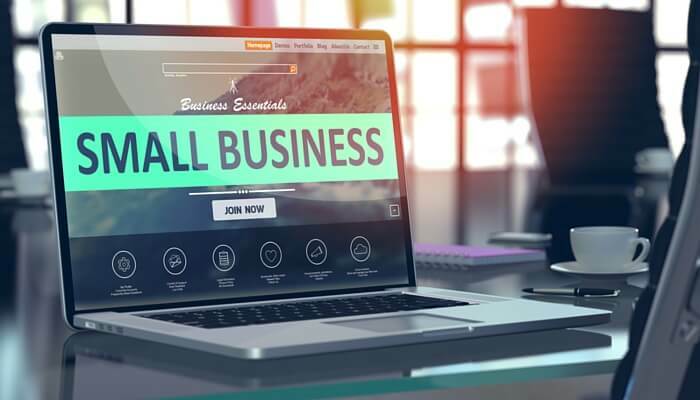 As the colocation space continues to grow, small businesses can reap benefits from these economies of scale, allowing them to completely manage their IT independently while enjoying expert advice and support. In fact, the needs of SMB's are not that different from enterprise customers. So, why should a small-to-medium business take a close look at colocation? Let's start with an overview of the service and process of moving to colocation. Colocation is the practice of placing your IT systems, primarily the servers that run your business, in a data center. Businesses maintain control of their systems while stored at local facilities that provide state of the art security, onsite support and enterprise-level performance and reliability. Costs for redundant power, cooling, connectivity and ample security are mitigated when taking advantage of the infrastructure of a data center. What does it take to get started on Colocation? The entire process of moving to colocation is simple and straightforward. Here are a few expectations and items to consider throughout the process. Data Center Tour. "If you have seen one data center, you have seen them all." Not true. When researching colocation, insist on a tour. There is no substitute for seeing your potential data center up close and personal. Personally take a look at security processes, biometric systems if present, physical layout and the cooling infrastructure. Walk the floor and get a feel for how it is taken care of. Rack/Cabinet Size. Are rack/cabinets the appropriate size? If you have 23” wide servers and racks are only 19” wide, that could be a problem. Also, depth of equipment is important. If the cabinet is 36” deep and your server is 42” deep, it won’t fit. Bring your measuring tape and check out the size of the racks/cabinets on the tour. You'll avoid taking someone's word for it and realizing you've got cabinet size problems on move-in day. Power Availability. When choosing a colocation service provider, double check the power that is supplied on site. Is the power appropriate? Options typically found at data centers include 20 amp vs. 30 amp power and 115-volt vs. 208-volt power. Some telecom gear requires DC power, so as you plan the move to the new data center, don't overlook this key component. Also, do the PDUs (power distribution units, aka, power strips) have enough outlets and the right kind of receptacles? Ask about outlet quantity and plugs as the contract is negotiated and plans to move are put into motion. Internet Connectivity. Typically, a data center has available Internet connectivity. Learn whether the colocation provider offers a blended IP connection from the data center or if clients need to provide their own. Ask about the pricing of cross connects and if both fiber and copper are permitted. 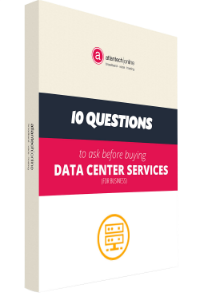 One more question to ask: Are other Internet providers allowed in the data center? Security. Ensure security procedures are in place and operational prior to the move. A facilities access list should be produced and distributed. It should include the names and contact information of everyone who is allowed access to the data center. Key cards should be issued or biometric scanning conducted prior to the move. Move-in Procedures. Similar to moving your office, the more organized you can be, the smoother the move. So don't overlook small details. Are there ramps? A loading dock? Confirm whether the data center provides staff for the move in and if you need your own tools and carts. Finally, include the timing of the move, from when physical access is permitted to which staff will be included. Review the move in procedures in advance to minimize delays and headaches on the move day. What benefit can colocation bring to my business? Business Cost Reduction. Colocation allows for economies of scale. The overall cost of bandwidth is spread across the entire data center, making access to enterprise-level connection more affordable than ever. Top Notch Customer Service. When your network goes down, who do you call? An office manager who is uncomfortable with the responsibility of your servers? Or a 1-800 line that may or may not respond? While you figure that out, the stress of knowing your business is offline can be agonizing. Alternately, with colocation, you receive 24/7 customer service from experts in the field. Via email, phone, or even live chat on a web site, colocation can offer the customer service you require. Reduced Downtime and Outages. Most SMBs conduct the majority of their business online. Every outage results in lost revenue, lower productivity, and a hit to your business's reputation. During a serious outage, you may not even be able to communicate with your customers. Colocation reduces this burden by keeping your servers running 24/7. Office Flexibility. By offloading servers to a remote location, your business is freed from a physical location. If there is a need to move office space quickly due to growth or unexpected damage, rest assured your infrastructure will remain running throughout. Colocation allows businesses to scale their infrastructure without office space becoming a problem. Offloading Work of Internal Specialists. Most small businesses have enough on their plate to take on the additional work of keeping an infrastructure humming along. If your engineers, CTO, or office staff are distracted from critical growth projects because of consistent IT server issues, colocation with a trusted provider may be the solution you are looking for. Offloading the work to experts in the field will free up time you and your staff require to keep your business growing. Added Security. When your servers are hosted externally, they are protected from every vulnerability. Data centers offer physical security, including network security, physical intrusion, video security, environmental alarms, fire protection, and backup power. For businesses with a large web presence who are concentrating on growth, moving to a colocation service is an ideal opportunity. If your small business finds maintaining IT infrastructure a burden that is weighing on the minds of your staff and leadership, now is the time to take a closer look at outsourcing this critical component of your business. If you would like to know how Atlantech can provide your small business with affordable colocation services, you can speak to one of our customer success representatives today.